New Tollywood Bengali film Shikari story review casting director producer cast of Shikari release date buy tickets online Bengali movie Shikari ticket booking online, Shakib Khan & Srabanti Chatterjee in Shikari Bengali movie review shooting location of Shikari, names of all cinema halls showing Shikari in Kolkata, Durgapur, Howrah & West Bengal, show timings of Shikari, Watch online Bengali cinema Shikari of Shakib Khan & Srabanti Chatterjee. Shakib Khan & Srabanti Chatterjee starring Bengali Movie Shikari, directed by renowned film-makers Joydip Mukherjee & Zakir Hossain Simanto, is going to release soon. Joydip Mukherjee & Zakir Hossain Simanto directed Bangla Cinema Shikari of Shakib Khan & Srabanti Chatterjee is a Thriller film. Let’s check out few more details of Shikari Bengali film of Shakib Khan & Srabanti Chatterjee now. Bangladesh film actor Shakib Khan and Tolly Queen Srabanti Chatterjee starer Bengali film Shikari is to release in this Eid. India-Bangladesh joint venture Bengali Thriller film Shikari is directed by Joydip Mukherjee & Zakir Hossain Simanto and produced by Abdul Aziz (Bangladesh) & Himanshu Dhanuka (India) under the banner of Jaaz Multimedia (Bangladesh) & Eskay Movies (India). Shakib Khan and Srabanti Chatterjee upcoming Bengali Movie Shikari is a remake of Tamil film 'Aadhavan' (2009), which was also a remake of Malayalam film 'His Highness Abdullah' (1990). • Shikari Bengali movie Director Name: - Zakir Hossain Simanto and Joydip Mukherjee. • Shikari Bengali cinema Producer Name: - Abdul Aziz (Bangladesh) and Himanshu Dhanuka (India). It’s a Bangladesh-India joint venture film. • Shikari Bengali film Cinematographer Name: - Tuban. •Shikari Bangla movie Story Writer Name: - Pele Bhattacharya & Abdullah Zahir Babu. • Shikari Bangla Cinema Music Director / Music Composer Name: - Indradip Dasgupta. • Shikari Bengali movie Lyricist / Song Writer Name: -Kabiguru Rabindranath Tagore and Prosen. • Shikari Bengali movie Actor & Actresses Name: - Shakib Khan [Sultan], Srabanti Chatterjee, Sabyasachi Chakrabarty [Rudra Chowdhury], Rahul Dev, Amit Hasan, Shupriyo Dutta, Subrata Barua, Shiba Shanu, Rebeca Rouf, Kharaj Mukherjee and others. • Shikari Bengali film Release Date: - 6th July 2016 (Bangladesh) and 12th August 2016 (India). 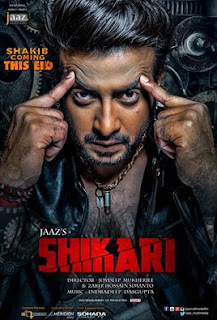 • Shikari Bengali Film Story Review: - Bangladeshi superstar Shakib Khan is playing the character of 'Sultan' who is a dreaded assassin with a mission to assassinate a very important political figure. Indian Bengali film actress Srabanti Chatterjee is Sultan's love who is given sheltered in the house of that politician targeted by Sultan to assassinate. Indian film actor Sabyasachi Chakraborty's character name is 'Rudro Chowdhury', politician of West Bengal. Bollywood actor Rahul Dev is playing the role of the main antagonist and Sultan's ally turned enemy. Bengali movie Shikari is an action packed thriller film. Cinema Halls showing Shikari Bengali movie: - will be updated soon. • Online Ticket Booking of Shikari: - The Advance Ticket Booking can be done from ticket counters of every Cinema Halls, 2-3 days before. But, you may Book Tickets Online of Shikari www.bookmyshow.com website. Ankush Hazra upcoming Bengali film in 2017, Swargiya Prem Bengali movie cast crew details, India Bangladesh joint venture film Swargiya Prem of Ankush Hazra. Bengali Filmmaker Basudeb is all set to direct his upcoming project ‘Swargiya Prem’ Bengali movie starring Ankush Hazra. As per the news coming up from Tollywood Film Industry, Ankush Hazra’s upcoming Bengali film Swargiya Prem is an India-Bangladesh joint venture movie. Shree Venkatesh Films of India and Digital Movies of Bangladesh are jointly producing Swargiya Prem Bangla Cinema where Ankush Hazra will act in lead role. Shree Venkatesh Films (India) and Digital Movies (Bangladesh) had made 'Sweetheart' Bengali film earlier together and also going to present Chokher Jol Bengali film starring Dev and Sohana Saba soon. 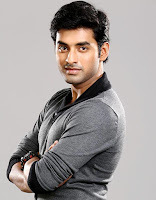 Indian Bengali film actor Ankush Hazra is to act with two Bangladeshi actresses in Swargiya Prem Bengali movie. It’s heard that in Swargiya Prem, two new faces of Bangladesh Film Industry will be chosen opposite Ankush Hazra. Swargiya Prem film shooting will be done in Kolkata, Dhaka, and few locations of Europe. From 27th December 2016, the making of Bengali film Swargiya Prem will begin. Upcoming Bengali film of Dev & Sohana Saba in Chokher Jol India-Bangladesh joint venture Bengali Movie, Dev in Bangladeshi film, Bangladeshi actress Sohana Saba and Dev Bangla cinema Chokher Jol Cast Crew details. Bengali superstar actor Dev is going to act in India-Bangladesh joint venture film 'Chokher Jol'. Yes, for the first time ever, most popular Tollywood actor Dev to work in an Indo-Bangladesh joint venture Bangla cinema titled 'Chokher Jol' with Bangladeshi top actress Sohana Saba. Bangladeshi popular actress Sohana Saba was seen in Indian Bengali movie 'Shororipu'. This versatile actress of Bangladesh Sohana Saba is to pair up with Dev in Chokher Jol which is produced by Digital Movies (Bangladesh) and Shree Venkatesh Films (India). Filmmaker Basudeb is coming up with his next project with Dev and Sohana Saba titled Chokher Jol Bengali film which is a romantic & familial story, written by Shamim Reza. 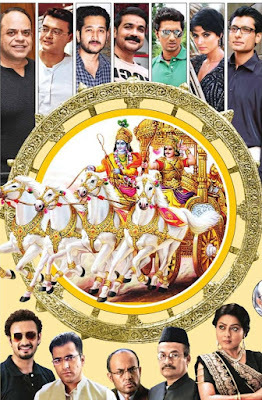 As per the news, Director Basudeb is to start shooting of Chokher Jol by 21st November 2016. Dev and Sohana Saba starer Bengali movie Chokher Jol will be pictured in Dhaka, Kolkata and Europe. New Tollywood Bengali film Game Plan story review casting director producer cast of Game Plan release date buy tickets online Bengali movie Game Plan ticket booking online, Pallavi Chatterjee & Mahesh Thakur in Game Plan Bengali movie review shooting location of Game Plan, names of all cinema halls showing Game Plan in Kolkata, Durgapur, Howrah & West Bengal, show timings of Game Plan, Watch online Bengali cinema Game Plan of Pallavi Chatterjee & Mahesh Thakur. Pallavi Chatterjee & Mahesh Thakur starring Bengali Movie Game Plan, directed by renowned film-maker Anindya Sarkar, is going to release soon. Anindya Sarkar directed Bangla Cinema Game Plan of Pallavi Chatterjee & Mahesh Thakur is a Thriller film. Let’s check out few more details of Game Plan Bengali film of Pallavi Chatterjee & Mahesh Thakur now. • Game Plan Bengali movie Director Name: - Anindya Sarkar. • Game Plan Bengali cinema Producer Name: - DMAX N’TERTAINMENT. • Game Plan Bengali film Choreographer Name: - Sudhakar (Hyderabad). •Game Plan Bangla movie Story Writer Name: - Pallavi Chatterjee. • Game Plan Bangla Cinema Music Director / Music Composer Name: - Amit-Anjan. • Game Plan Bengali movie Lyricist / Song Writer Name: - Rajiv Dutta. • Game Plan Bengali movie Actor & Actresses Name: - Mahesh Thakur, Pallavi Chatterjee, Amitabh Bhattachaya, Sayantani Guhathakurta, Master Samriddha, Saikat, Ishita, Krishna Kishore Mukherjee, Jaydeep Mukherjee, Papiya Debrajan, Anindya Sarkar and others. • Game Plan Bengali film Release Date: - 24th June 2016. • Game Plan Bengali Film Story Review: - Anindya Sarkar directed Game Plan is a Thriller movie based on a family. A happy living family plans for a holiday trip where they face unexpected things happened with them. Story writer Pallavi Chatterjee has also portrayed a crucial role in this movie where Krishna Kishor Mukherjee played the role of a cop. Cinema Halls showing Game Plan Bengali movie: - will be updated soon. • Online Ticket Booking of Game Plan: - The Advance Ticket Booking can be done from ticket counters of every Cinema Halls, 2-3 days before. But, you may Book Tickets Online of Game Plan www.bookmyshow.com website.